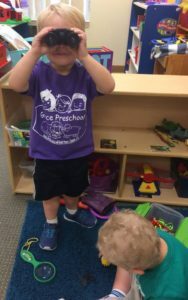 Schedule a Tour ~ Come See What Makes Grace Preschool So Special! We encourage you to bring your child(ren) with for the tour, so they may also see what we are about! We want everyone to feel comfortable; this will help you to know if Grace Preschool is the right fit for your family. To schedule a tour and learn more about us, please give us a call at 941.485.4312.